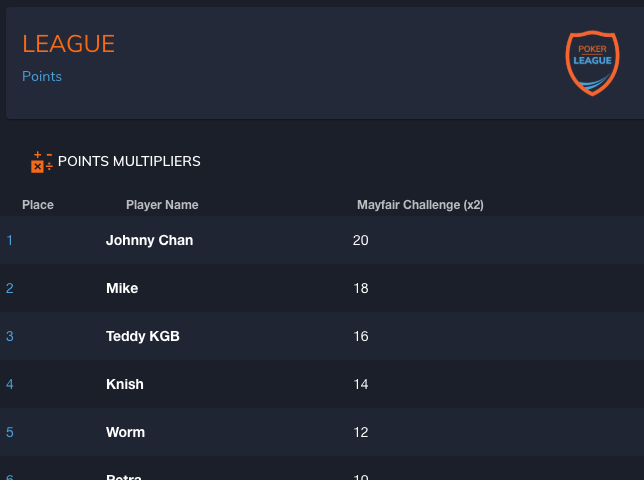 In talking with our users we have found that many poker leagues use points multipliers for some of their tournaments. 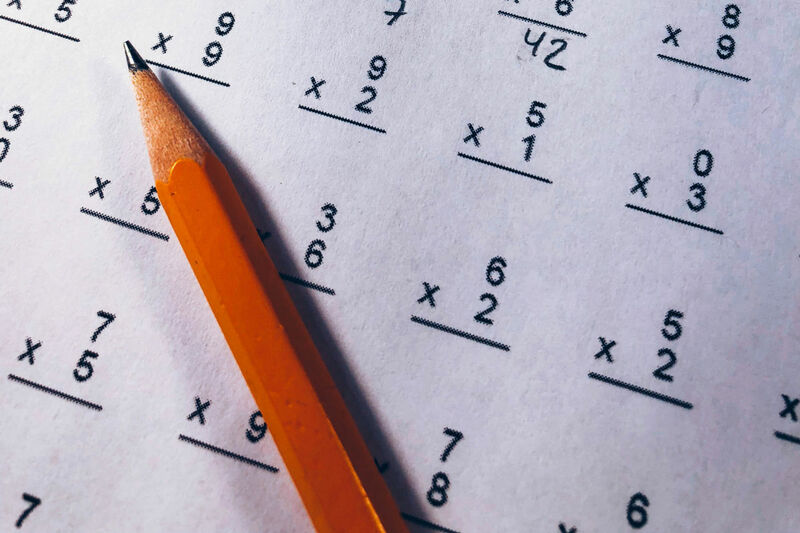 A very common example is awarding double points to their final tournament of the season. 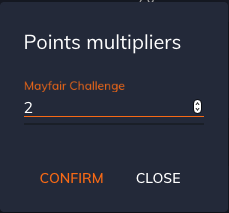 We have added a new “Points multiplier feature to support this. From the league tab of a league tournament, there is now a Points Multipliers button that will allow you to add a points multiplier for every league for that tournament.